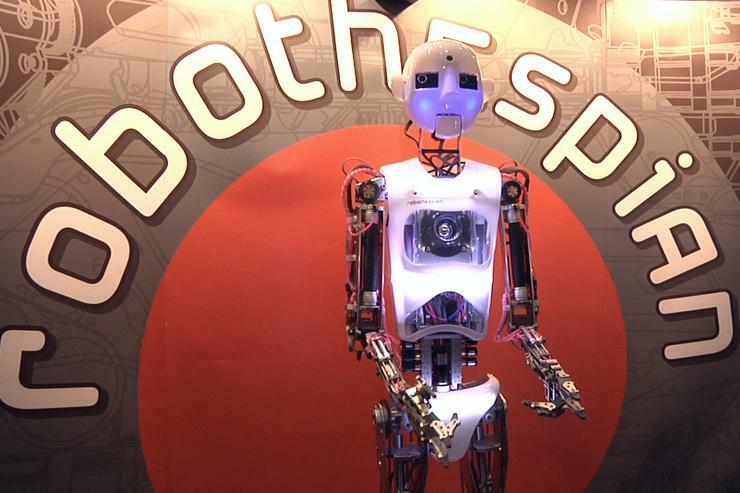 The robot, which drew crowds and a steady procession of TV cameras on Tuesday, grew out of a 2005 project to construct robotic actors. The development team soon found people wanted to interact with the robot, so it spent the next two years adding interaction. It's also been given a more lifelike form of movement. "He's designed as a communications tool," said Will Jackson, director of Engineered Arts. "It's a way of interfacing to your data in a much more humanly accessible way." Engineered Arts sells or rents the robot. Prices begin at £36,500 (US$59,000).